Quick update: We made it into Aurora late last night after 14 HOURS in the car yesterday. After a good night’s sleep, Kristine took the kids with our friends to play at a children’s garden/playground nearby, and I am getting caught up on a few things. Later this afternoon I’ll be driving part of the way to Elk Grove and then biking the rest of the way to get a good ride in today and then watch the Pro prologue time trial. The elite amateur race doesn’t start until tomorrow so I’ve got an additional day to recover from the drive up yesterday. 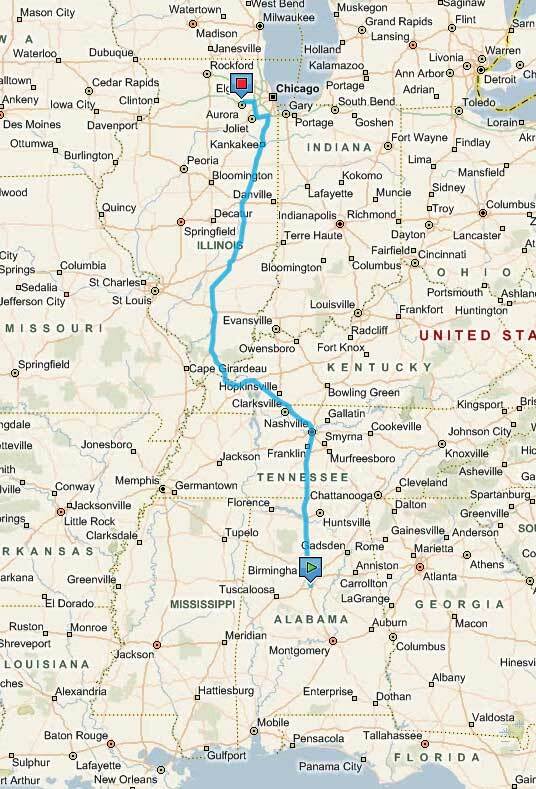 Birmingham, Alabama to Aurora, Illinois - 730 miles, 11-12 hours (w/ kids)! The race I am heading up to do is the Tour of Elk Grove, which has a huge prize purse of $35,000 for the 2-day amateur stage race ($35,000). That purse is just for the Cat 1-2 field! There is lots of prize money for the other fields, too — including the separate Pro-only race which has $170,000 for that field. The courses are pretty much table-top flat with some good corners on excellent smooth pavement (in 2007 – but Chicago winters are hard, who knows what the road will be like this year!). With so much prize money on offer, it will be hard for a break to get away unless it has the perfect representation from the major teams at the race. Since it is a timed stage race, the sprint time bonuses at the midpoint and end of each race will play a huge part in determing the overall placings. Look for updates, photos, and race reports over the next few days. This entry was posted in Racing and tagged calendar, travel on July 30, 2008 by kartoone. I’ve got to hand it to the COGS group – excellent race, accurate times, quickly posted results AND photos. Way to go Cyclists of Greater Sylacauga! Here’s one of the photos (licensed under creative commons license). Thanks for posting these! You can view all the photos from the race on flickr. 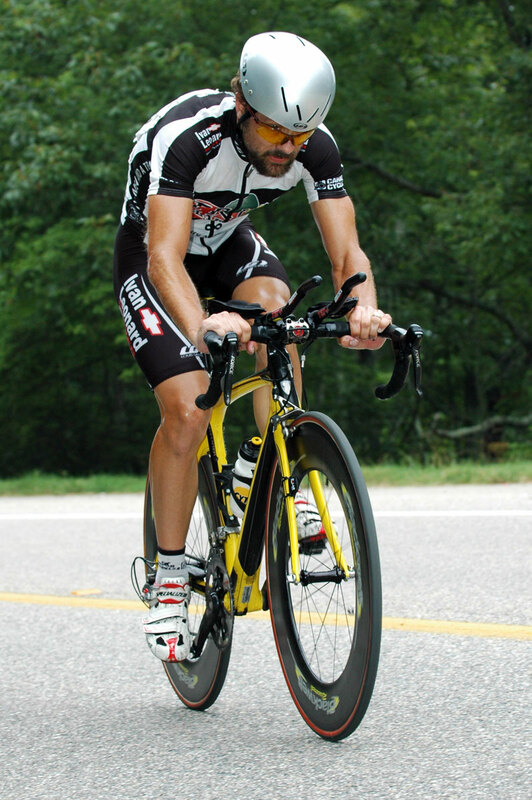 This entry was posted in Racing and tagged photos, Racing, time trial on July 29, 2008 by kartoone.